Fifield Companies secured a $67.5 million construction loan from Fifth Third Bank for its seven-story Logan’s Crossing development, about a week after the mixed-use project broke ground at 2500 North Milwaukee Avenue. Fifield last week paid about $13.56 million to acquire the property from Terraco and Marc Realty, who had jointly bought it from Kyun Hee Park for $8.9 million in September 2014, according to property records. The payout includes about $3 million in reimbursements to the two companies for architectural and engineering work to get the project to this stage, leaving the underlying land cost around $10.5 million, principal Steven Fifield told The Real Deal. Terraco will remain a minority partner in the project, Fifield said. Plans call for 220 luxury apartments and 67,000 square feet of commercial space spread across two buildings, which will be connected by a skybridge, on the site of the former Discount Mega Mall at Milwaukee and Sacramento Avenue. 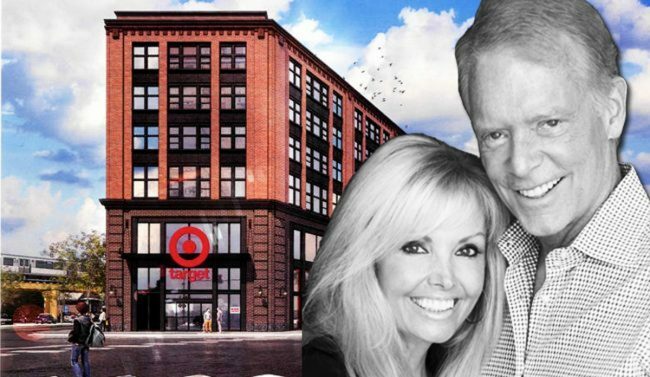 Fifield signed Target as its anchor tenant in April, setting aside 27,400 square feet for a “small-format” superstore at the south end of the property. An XSport Fitness gym and Jewel-Osco grocery store were originally planned for the space, but those deals fell through last year. Marc Offit of Sierra is the lead broker for the remaining retail space, and Fifield plans to announce a new round of commercial tenants this fall, he said. Construction is slated to wrap up in late 2019, and apartment leases will be offered starting in 2020. A few blocks away, Inland National Development began construction last month on a 100-unit apartment building at 2845 West Belden Avenue.